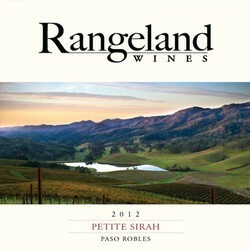 Rangeland Wines are grown in the limestone hills at the far western frontier of the Paso Robles appellation. Just 12 miles from the ocean at 1700 feet of elevation, our Adelaida Springs Ranch estate vineyard is set in a natural tapestry of rolling oak woodlands, abundant wildlife and grazing livestock. 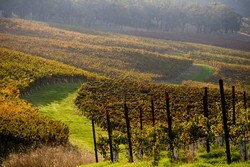 We like to say that our wines are "field crafted," which means our fruit is carefully grown and vinified naturally to achieve the fullest expression of our coastal mountain terroir. Adelaida Springs Ranch is a diversified family farm (grapes, wine, grass-fed beef and grass-fed sheep) owned and tended by Laird and Lisa Foshay. Come visit us and experience the natural scenic richness of our mountain valley home. New release of our popular Bordeaux blend from the structured, tannic 2013 vintage. New release of our flagship wine from a tannic, structured vintage. Another great rendition of our untradtional blend. Wonderfully fruity with a rare lightness and balance.